Located between two high-rise buildings, the monument shakes its scale. The bronze profile, almost three meters high, rises on a granite pedestal. In the daytime it shines in the rays of the sun, and at night envelopes in the yellowish twilight of street lamps. In his right hand the writer holds a book, and through his left carelessly thrown over his coat. 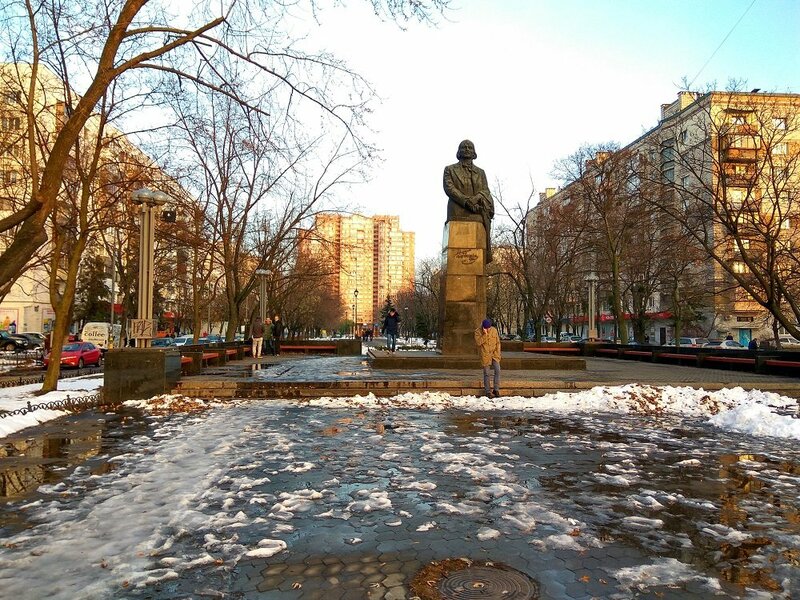 On the front side of the monument there is a large-scale painting of Gogol, stylized as a facsimile. At the back there is an inscription with the date of installation (August 13, 1982) and the names of the authors (sculptor AP Skoblikov, architects KA Sidorov, I. Ivanov).